The main scientific objective of the low altitude DEMETER micro-satellite was to study the ionospheric disturbances that can occur before major earthquakes. The DEMETER micro-satellite was launched on 29 June 2004 into a circular and polar orbit at an altitude of 715 km. Its scientific objectives were to study both the ionospheric disturbances that can occur before major earthquakes and the ionospheric changes induced by human activity (radio-navigation transmitters, electromagnetic radiation from industrial activity). Artist’s impression of DEMETER. Credit image CNES. 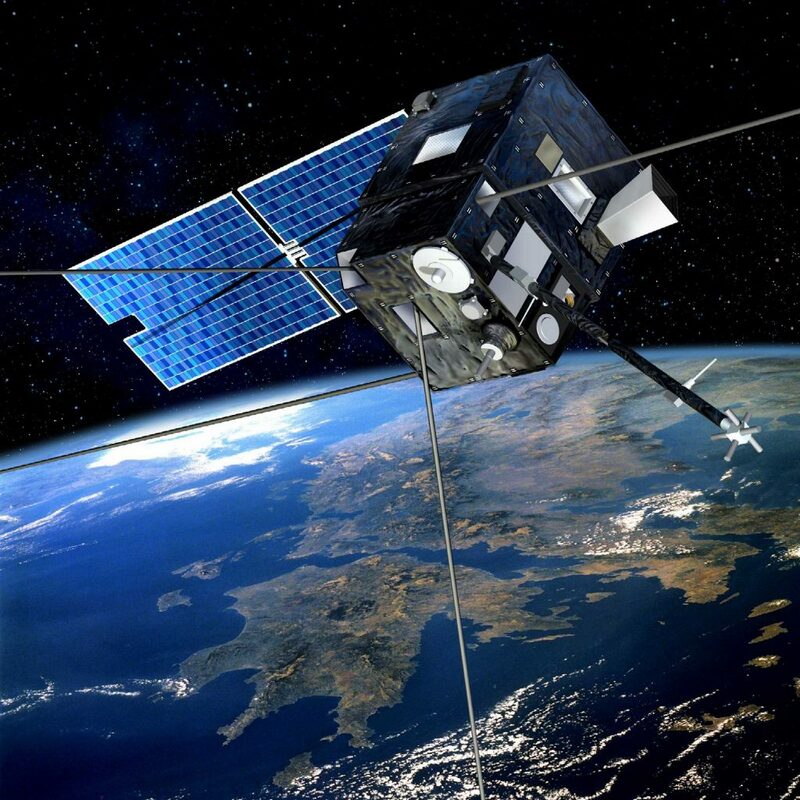 The scientific payload included instruments to measure waves in a wide frequency range, electronic and ionic densities, and energetic particles. The scientific payload of DEMETER. Credit image CNES. 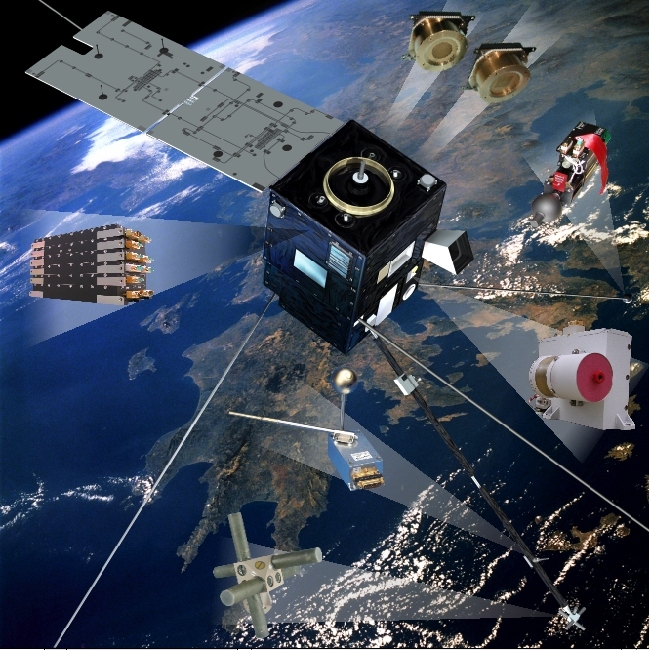 LPC2E has been a major contributor to the scientific payload of DEMETER. It was in charge of the tri-axial Magnetic “Search-coil” instrument (IMSC) and the common electronic module (BANT) for onboard data processing and handling. In addition, LPC2E was responsible for the DEMETER mission centre, which was used to prepare the programming plans during the operational phase of the mission, and to make the collected data available to the scientific community. After 6.5 years of good service, the satellite received its last scientific programming in December 2010. The data are now available from the CDPP ((https://cdpp-archive.cnes.fr/). The data exploitation by the scientific community was and is still very active as shown by the list of publications which can be found on the CNES website https://demeter.cnes.fr/fr/DEMETER/Fr/A_publications.htm.